You can find the full range of Peak District Yarn at Carrie’s studio in Tideswell, on this website, and at various yarn show events throughout the year,. You can also find a small selection of yarn at the following outlets. Please do check their opening times before you make a special trip. 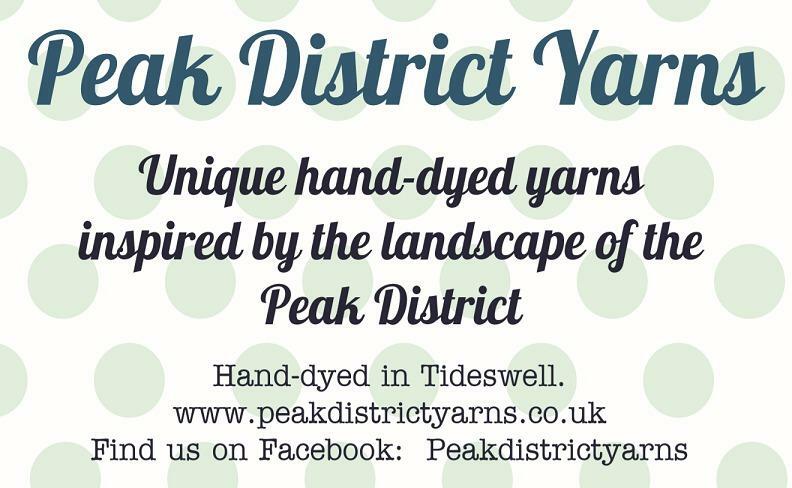 If you are an independent shop who would be interested in stocking Peak District Yarns, please do get in contact. You can now visit the Peak District Yarns Studio and Workshop to see Carrie’s full range of yarns, as well as browsing a selection of lovely gifty items. Open to the public on Saturdays; other times by appointment only. Run by the lovely Sandra, this is the perfect Local Yarn Store in Birstall, Leicester. Address: 7 Hannah Parade, Stonehill Avenue, Birstall, Leicester, LE4 4EJ. Sew-In in Buxton offers a wide range of knitting, crochet, haberdashery and needlework supplies. Run by Dave and his talented team. The lovely Tracy runs this perfect local yarn shop in Chesterfield. She has an active group of knitters who meet regularly at the shop, so you have to be quick to get the latest Peak District Yarns which she stocks! A fabulous local gift shop in Leek which sells a range of yarns and, of course, socks!. Tangled Yarn is an online purveyor of fine yarns run by the lovely Rachel, who has a real eye for quality and colour. Open 24 hours a day on the world wide web!